Here at MPOG we have been working on hardware and integration projects. 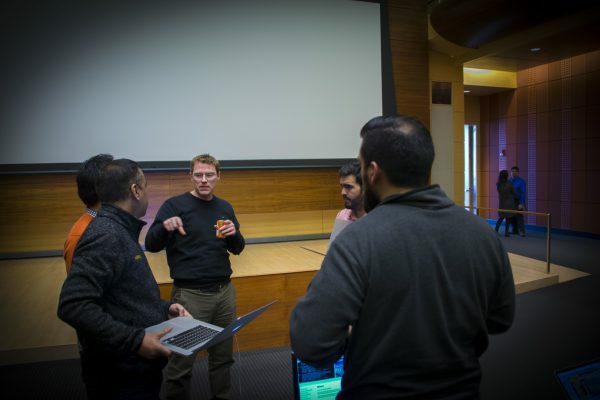 As a demonstration of some of these endeavors, on March 1-2, 2018 members of MPOG entered the Hacks-with-Friends IT competition at the University of Michigan, and placed second overall! Five members of MPOG/UM Anesthesiology formed a team which recruited an additional seven members based on interest after our pitch. 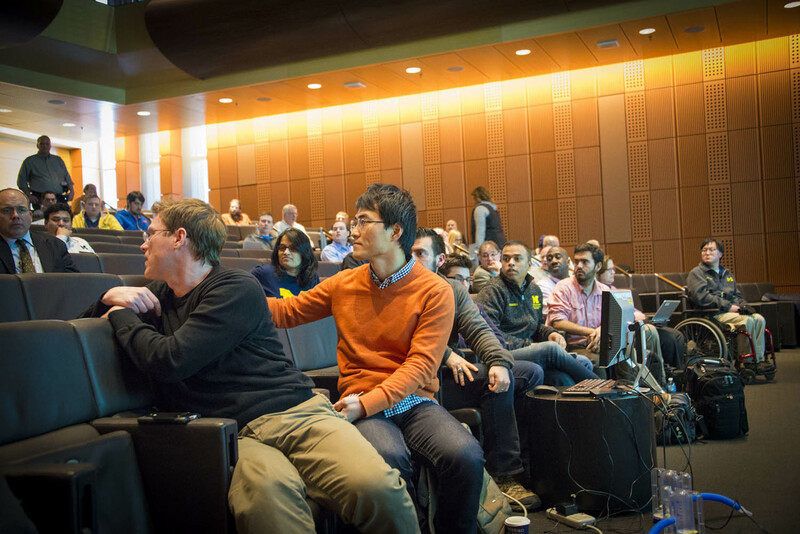 In total the group represented nine different departments at the University of Michigan! The incentive spirometer (IS) is a common device used in hospitals to improve the respiratory function of patients with lung illnesses and all patients following operations. The device is designed to incentivize patients to take deep slow breaths several times an hour. To quick or too low a breath is inadequate. Utilization of the device is often suboptimal requiring constant reminders and instruction. For our hack we want to incentivize use by creating a game played with the IS device. We envision using light sensors to capture extent of use and transmit the information real-time into a videogame that incentivizes proper use of the device. This project falls into the broader category of the internet of things (IoT) and will focus on the capture and, processing, and distribution of data that previously was inaccessible. The broader vision is to extend the design to other applications within the hospital and beyond. The hack was extremely successful. The completion relied upon three main parts: sensors and data collection, data integration and connectivity, and game integration and user interface. Many of us were unexperienced in several areas of the project and learned new skills, we learned to work as a large team, and we overlapped extensively and communicated openly with one another throughout the project. We had fun creating an internet-of-things (IoT) use-case product with the patient-focused, common hospital device called the incentive spirometer (IS). We see this as a proof-of-concept project. At MPOG we plan to further this technology to create hardware that can be used within the hospital for data collection and patient utilization. Our focus is on the capture, processing, and distribution of data that previously was inaccessible. The broader vision is to extend the design to other applications within the hospital and beyond. What do you think about the project? Please contact us and let us know.